MS MR (say “Ms. Mister”) made some waves last summer when “Hurricane,” from the band’s Secondhand Rapture, snuck onto a few indie radio stations and playlists. It was a breath of chilly air in the midst of a hot summer—“Hurricane” has a dark, solemn sound that automatically cools any room a few degrees. Romantic piano chords resonate, building to a crescendo seemingly without trying. 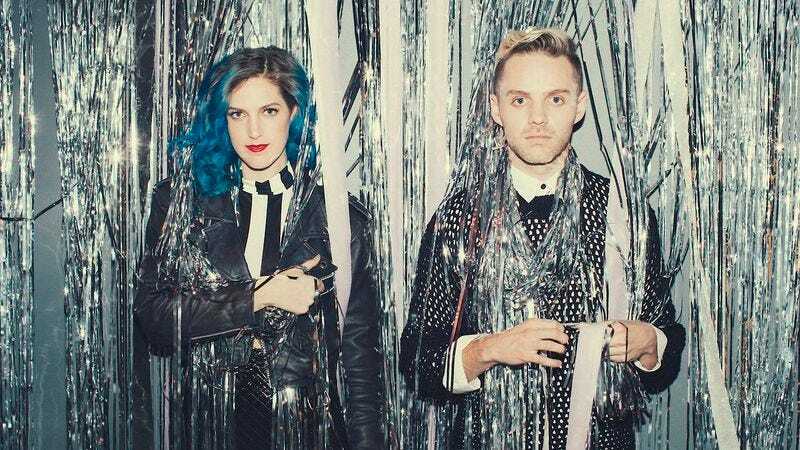 MS MR is a little like Florence + The Machine, though without Florence Welch’s distinctive ululating. Still, Lizzy Plapinger’s voice is not to be underestimated: Its lilt borrows a bit of a ’40s lounge-singer vibe, and Max Hershenow’s production offers a rolling, bass-heavy, unmistakably contemporary counterpoint to her voice. “Hurricane” is the best song on Secondhand Rapture, but “Fantasy” is also infectious, with a more upbeat tempo that might be better suited to January temperatures. But the finest moment yet from MS MR is a cover of LCD Soundsystem’s “Dance Yrself Clean,” which was one of my favorite tracks last year. They did the cover for Like A Version, an Australian radio show, to honor the unofficial band of their hometown, New York City. Plapinger does such a great version of James Murphy’s vocals that it feels even better than the original—her voice soars over the breakdown effortlessly, reinforcing the song’s status as one for the ages. Throw your little hands up.